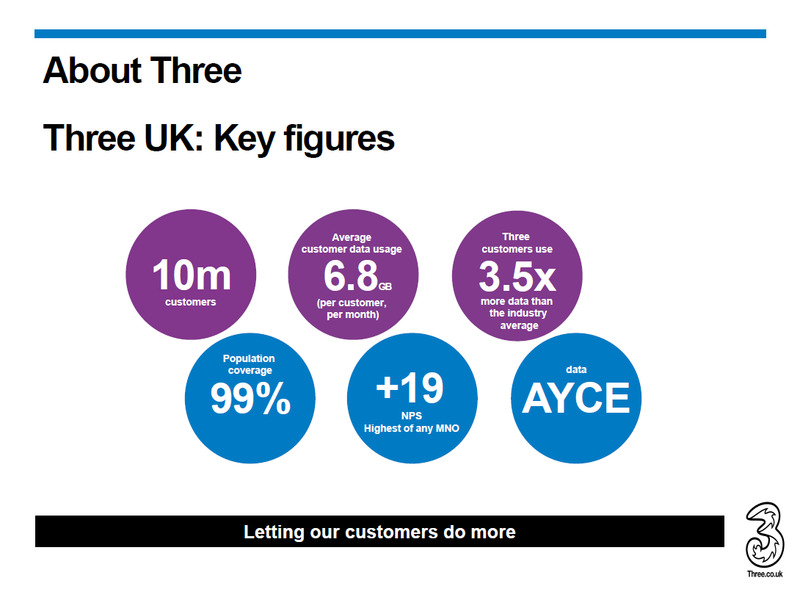 Three UK has consistently touted itself as a network built for data, for the next generation of users. 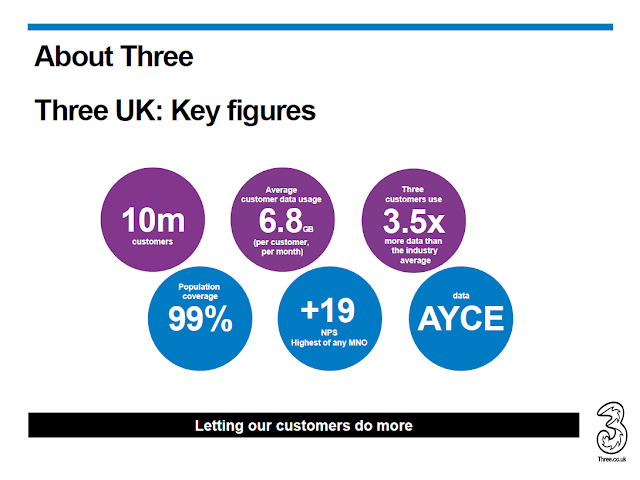 In past many of the speakers from Three UK have consistently said that 98% of the network traffic is data. Though I have not heard this figure being mentioned recently, I wont be surprised if its still the same or even more, considering VoLTE is data too. In a recent presentation, Prof. Dr. Erol Hepsaydir, Head of RAN and Device Strategy & Architecture, Three UK talked about the Three UK network transformation and the move from 4G to 5G. 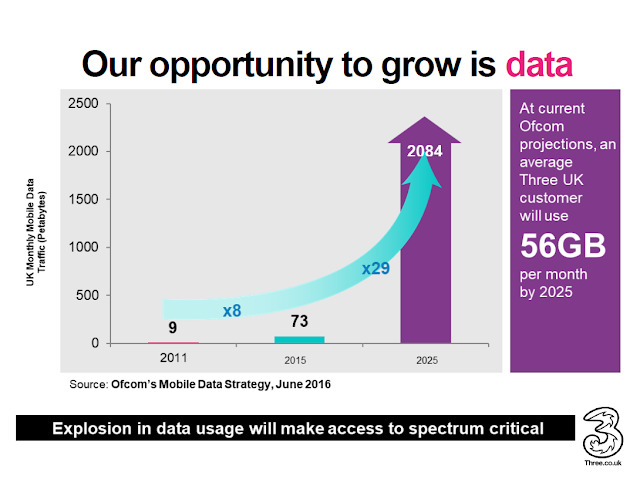 Based on the analysis in Ofcom's Mobile Data Strategy, published in June 2016, Three UK estimates that its customer will use on average 56 GB per month by 2025. This is higher than expected of many other networks but that is because as a smaller network, Three UK has the spare capacity available to spoil their users. 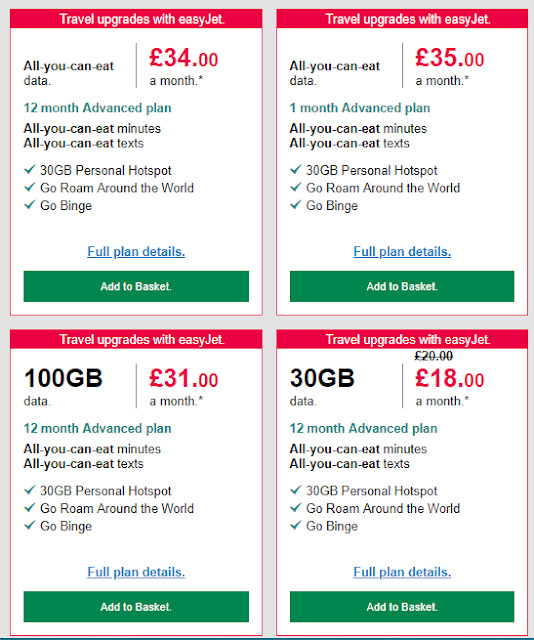 Their data packages are very generous too. 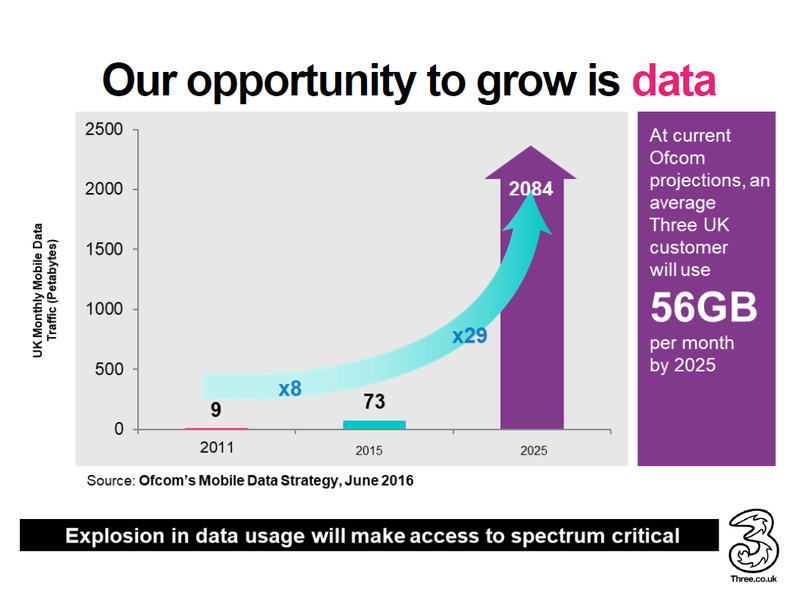 I have a feeling that the data use will probably be higher than 56 GB in 2025, partially because of many news apps and services that are being developed with 5G in mind. We will have to wait and see.